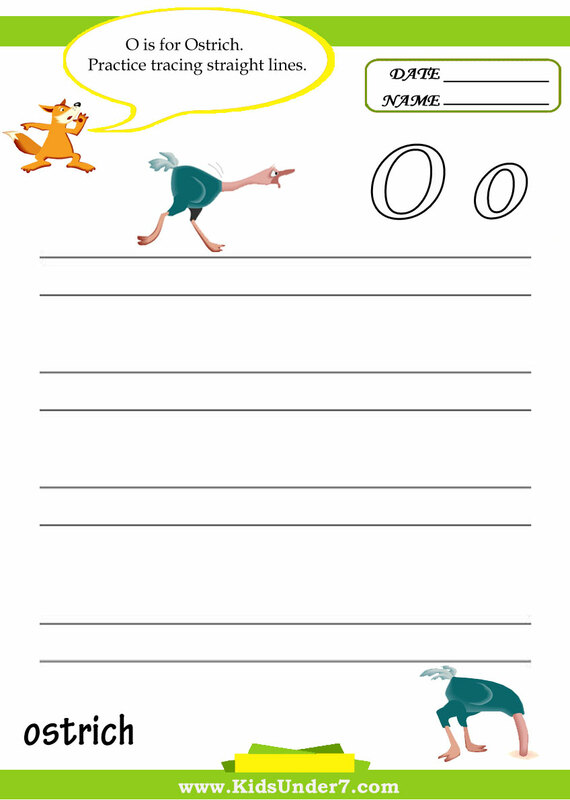 1.O is for Ostrich. Practice tracing stright lines. 2. 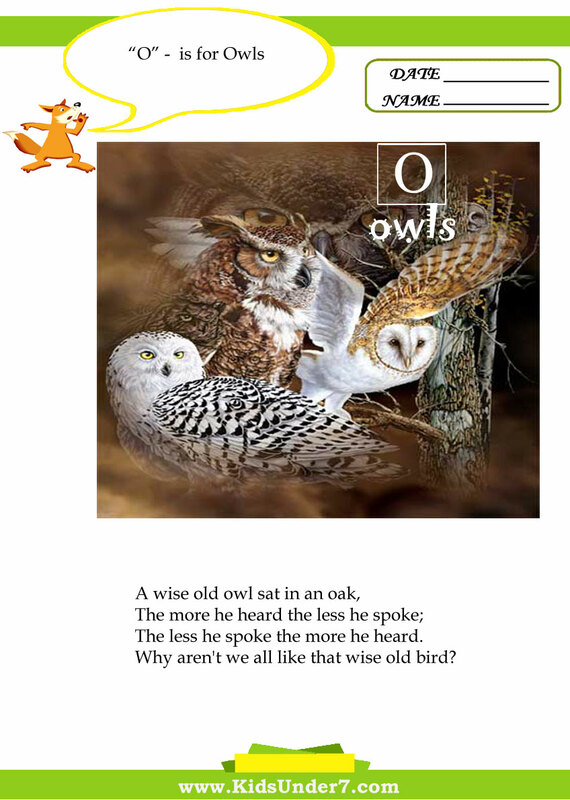 O is for Owls. 3. 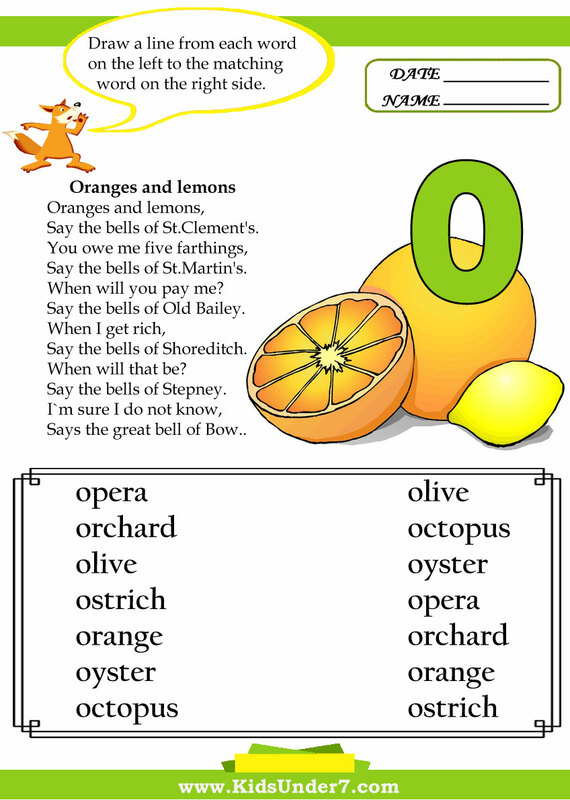 Oranges and lemons Rhyme.Draw a line from each word on the left to the matching word on the right side. 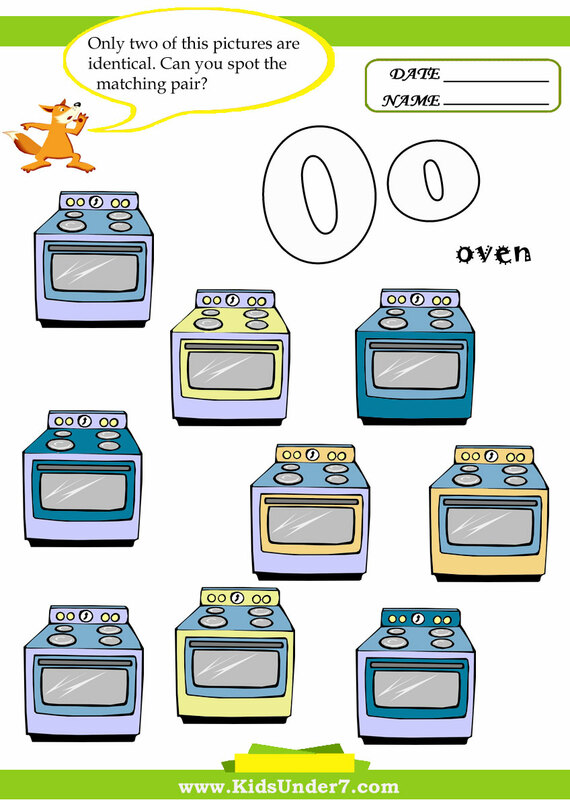 4.Find and circle two identical ovens. 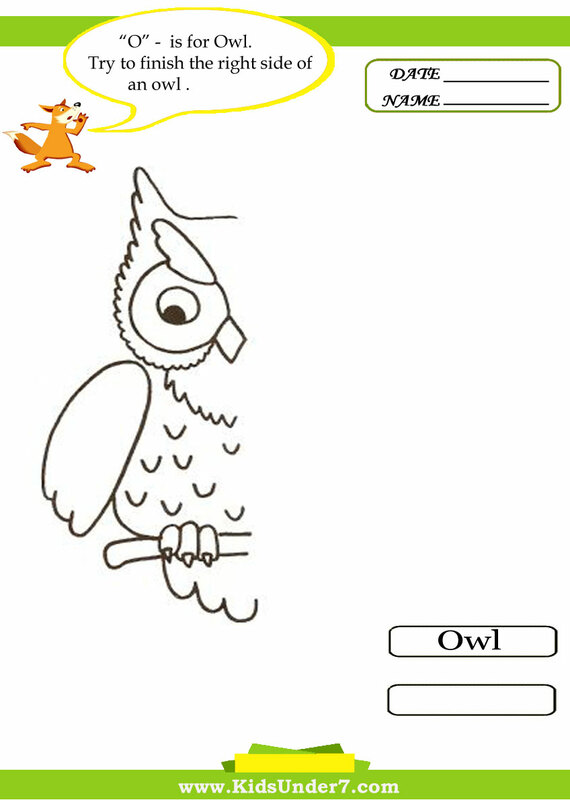 5.Try to finish the right side of an owl. 6.Follow the lines with your pencil. 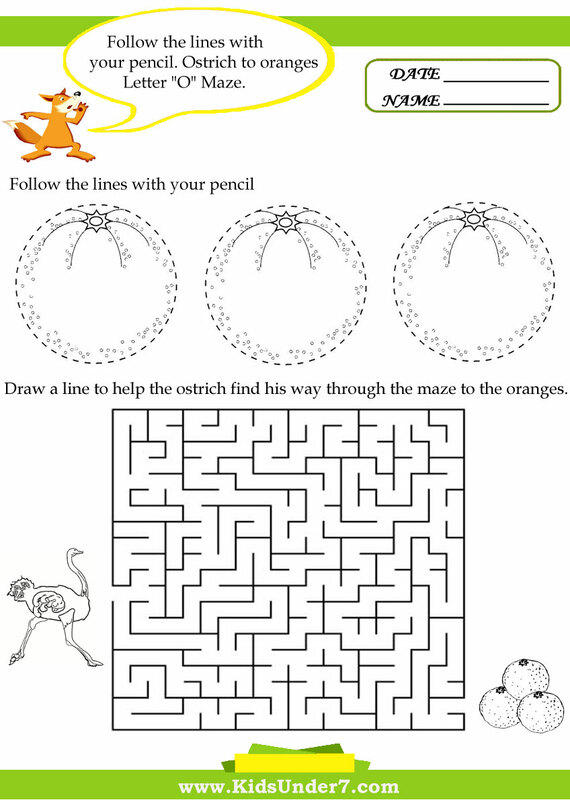 Draw a line to help the ostrich find his way through the maze to the oranges. 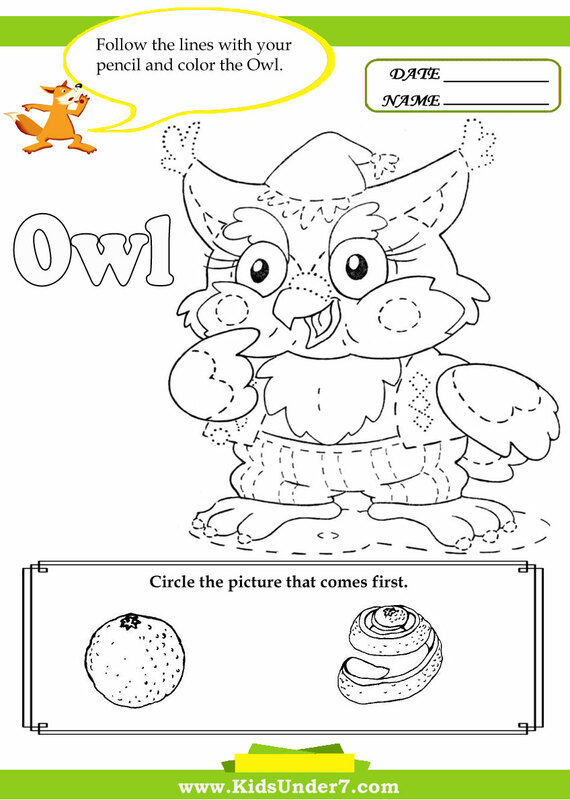 7.Follow the lines with your pencil and color the Owl. Circle the picture that comes first. 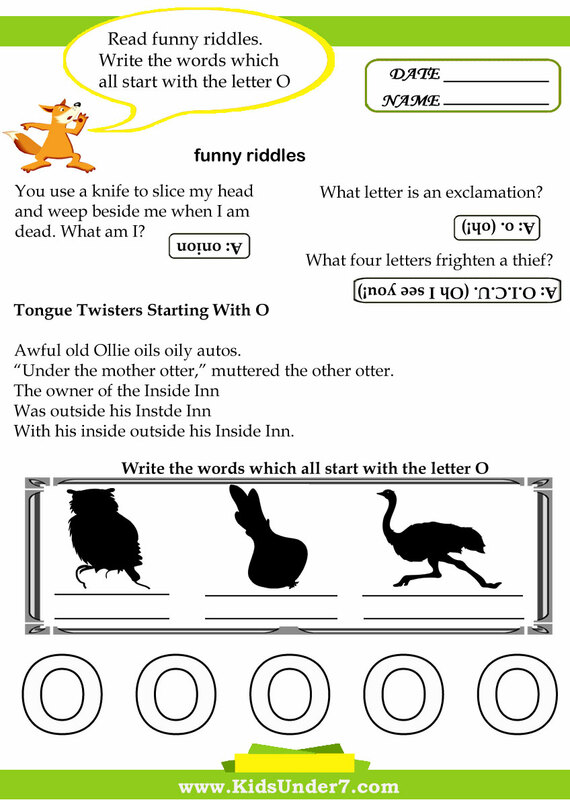 8.Read funny riddles.Write the words which all start with the letter O. 9.Write the letter O. 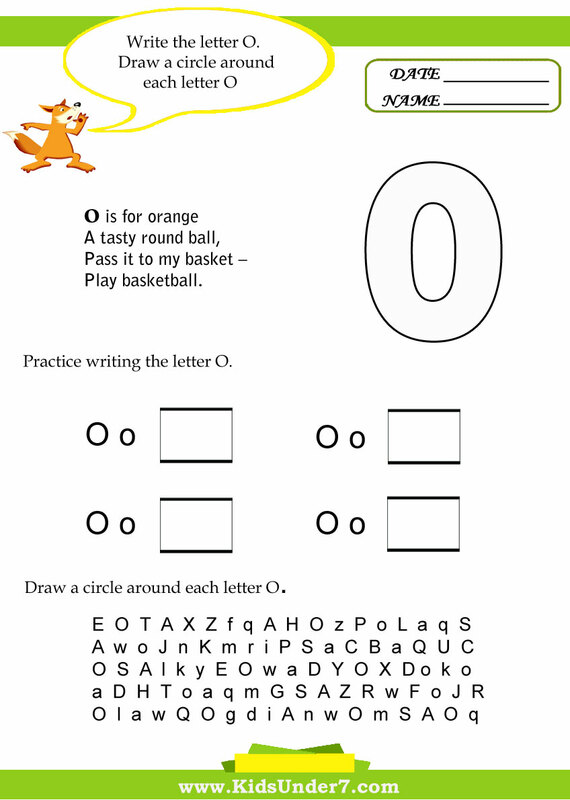 Draw a circle around each letter O. 10. 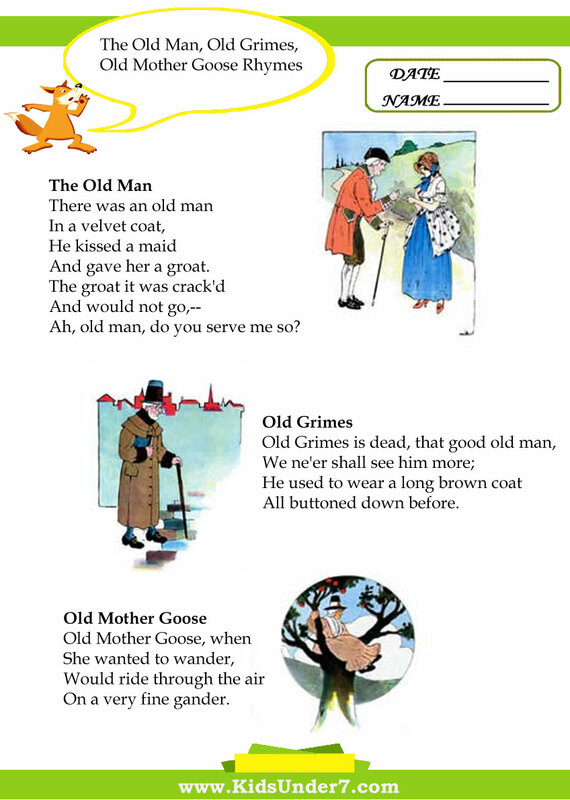 The Old man, Old grimes, Old mother goose rhymes. “Under the mother otter,” muttered the other otter. Three little cats are in the tree. Say the bells of St.Clement's. Say the bells of St.Martin's.